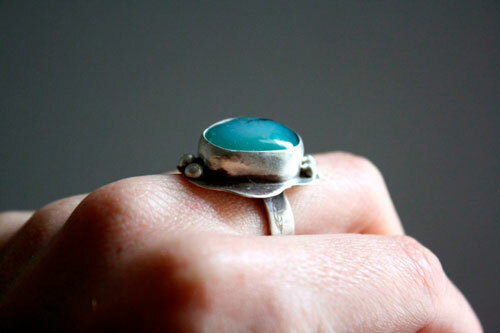 This ring is made of sterling silver (925) made by hand in my workshop, and a blue agate. 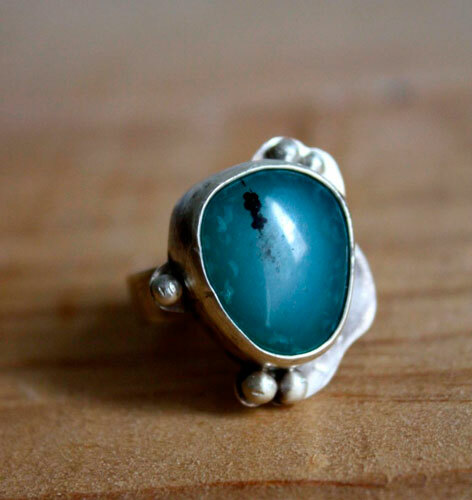 I found this stone in a big basket of stones in a popular street market in Oaxaca de Juarez, Mexico. 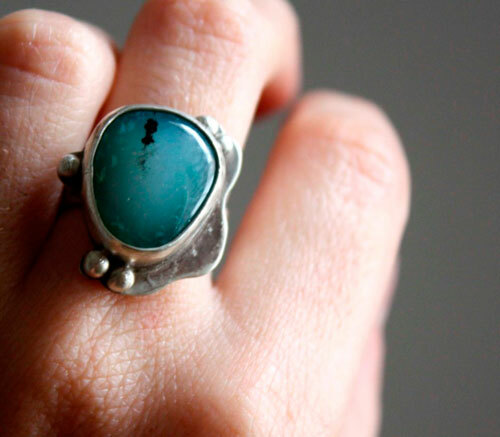 This stone is one of a kind. It has a very deep blue color which goes lighter in tones towards its center. A black inclusion comes to contrast with the light color. 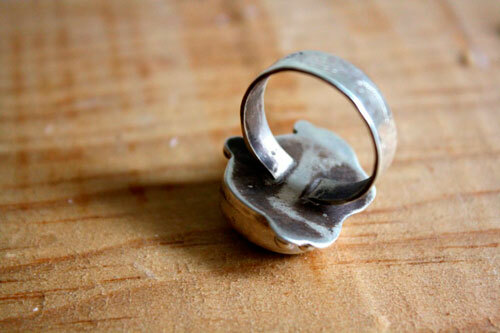 I thought about keeping this ring for me but I cannot keep all that I make. 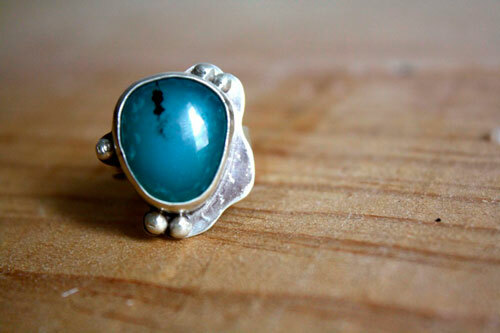 This ring and this stone remind me of the Caribbean Sea views. When we fly over it, one can enjoy all the blue shades of the heavenly sea, varying the depth of water, the presence of sand or reef, and sun. I set the stone on irregular support outline, referring to the irregular cutting of the Caribbean islands. 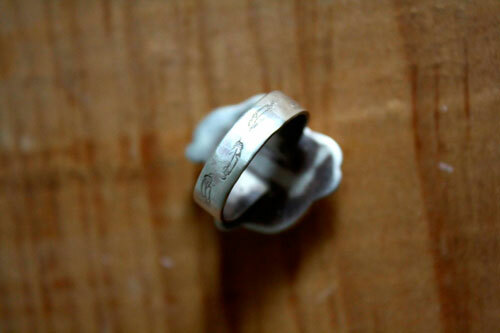 The band is engraved with feather patterns to remind the aerial blue color of the stone. Polished, matte and oxidized finish. The surface is 2 x 1.7 mm. It is a 7 1/2 US size. 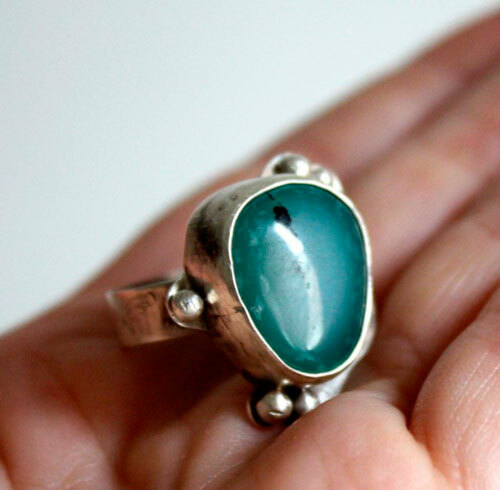 Tag: ring, oval, sterling silver, unique, romantic, blue, air, black, gift, Valentine’s Day, Mother’s Day, birthday, cabochon, semiprecious stone, sea, Caribbean, island, water, transparency, sun, holiday, reef, fish, life.